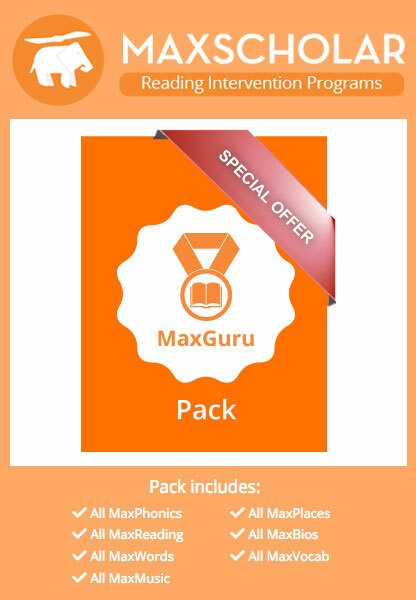 MaxScholar is a reading intervention program based on the classic Orton-Gillingham (OG) approach, developed to take advantage of 21st Century technology in education. It is web-based, accessible on any device, including PCs, Macs, iPads, other tablets, and even Smart Phones. It is explicit, systematic, and multi-sensory. It contains a very strong phonics program (consonant-short vowels, blends, digraphs, long vowels, r-controlled syllables, consonant-le syllables, and double vowels). It teaches OG spelling rules, multi-syllabic words, prefixes/suffixes, Latin roots, and Greek roots in an electronic format which is loved by students. It stresses fluency and vocabulary building. It also teaches strategies for improving reading comprehension skills, including selective highlighting (using electronic highlighting tools), outlining, and summarizing. There is also a writing component, as well. This program is an exceptional fit for those students with Dyslexia, other reading disabilities, and those who have visual or auditory processing deficits.